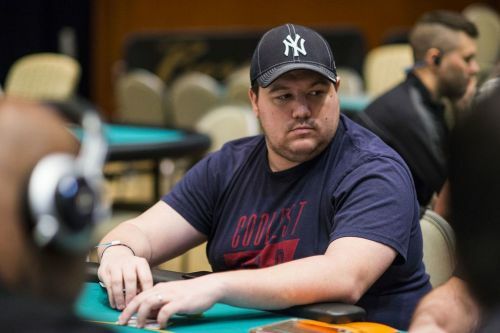 USA’s poker champ, Shaun Deeb has been on a sprint to become the WSOP Player of the Year and there are lean chances of it, not happening. Though the algorithms cannot be counted on, the statistics are shouting out to tell us that there is no denying that Deeb will be the hardest to beat for the title. Only two other players are creating the competition, among whom Anthony Zinno is the closest, lagging behind with 2,500 points. Deeb believes that he has been in the run of earning the title every year. The player with almost $6m lifetime earnings, out of which $4.2m comes from WSOP winnings, shares that somehow he missed it every year. The player says that the previous years’ winners have been his closest friends and the competition comes down to the same set of players every year. Therefore, it becomes a pleasant experience for each one of us to join and enjoy the game. He adds that the thought of finally winning the title is still an unfulfilled dream and he would need the victory picture to actually believe it. Playing at WSOP for more than a decade, Deeb does not come across as someone who bothers about banners. A chat with him about the Player of the Year title throws light on the fact that this winning would simply be a result of a career spent on honing his skills at mixed game tournaments. Deeb says that “the banner is important”. He adds that once he was threatened by his friend Frank Kassela that no matter at which place he finishes, he would put up a banner at his house. So, if he did not win he would look at a gigantic banner at his house (Deeb stays at Kassela’s house) every day. Throwing light on his performance this summer, he said I cannot outrightly term it a successful journey. He has not played any hands of cash this year but decided “to put up a really good tournament this year- so I did”. People don’t plan things beforehand and “try to juggle both” eventually affecting their health. One should focus on one or the other, otherwise, they will end up compromising their career. On playing with no cash, he said that it does not matter much after winning two bracelets in a year. It was indeed an enjoyable experience. Deeb says that these two events were something he had a “very low edge in” but things fell in his favor and he managed to win $800,000 and $1.4m in those events. Is winning consecutively every year increases the chances of more wins? Deeb says that winning surely makes others take you seriously. So, “I got away with some spots because of that.” In his words, people who know him since the beginning have a taste of his way of playing. “I am not old or washed-up” and will continue to play as he has until now. Going down the memory lane certainly brings few regrets one has about various events. Deeb says that he always wanted to play well at $50,000 Players Championship. But has only managed to finish at 10th (this year) or 6th place (last year). For a mixed game player, it is one of the feats players long for and it is still a pending one for him. Losing at something this big of course bothers many, but the players contesting for the Player of the year title have all won huge titles with gigantic prize pools. Winning and losing is just a “statistical anomaly” about which all the players are well aware of. Looking back at the year, the players will “remember it fondly”. He says that he has had friends who have won the title in the previous years and laughed at the banner jokingly as he played “better than them” and still did not win.